Spatial analysis is how we understand our world—mapping where things are, how they relate, what it all means, and what actions to take. That’s why whenever we look at maps, we inherently start turning them into instruments for making decisions. So why is spatial analysis so important to you and your organization? The benefits of factoring location into your analytics are many. But let me simplify it for you. When spatial analysis becomes part of the culture of an organization, interesting things start to happen. Communication improves. And collaboration becomes easier. The map becomes the touch point for discussion and problem solving. And because in this day and age the map is a dynamic, statistical medium that can be used to illustrate change over time, people can get answers about what used to happen, what is happening now, and what is likely to happen in future with a high degree of confidence. Spatial analysis becomes a kind of common language used across an organization. Spatial analysis lets you answer some very basic questions. It begins with bringing that intrinsic spatial awareness we all share to bear on problems and data. For example, where are things located in the world? This is one of the simplest questions we can answer with spatial analysis. Placing things in geographic context brings those things into immediate perspective. Think about property, sensors, people, video cams, vehicles, aircraft, ships, and tweets. Finding out where these things are—right now—can be very useful in the right context. 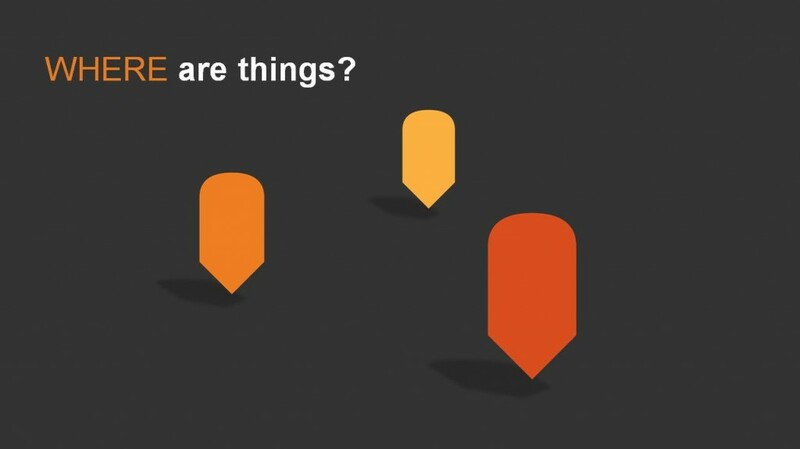 Once you know where things are, you can ask questions about what’s nearby. This basic principle leads to immediate insights. Think about the proximity of customers to retail centers, the impact of development on endangered species, and the risk factors with disease near a population. 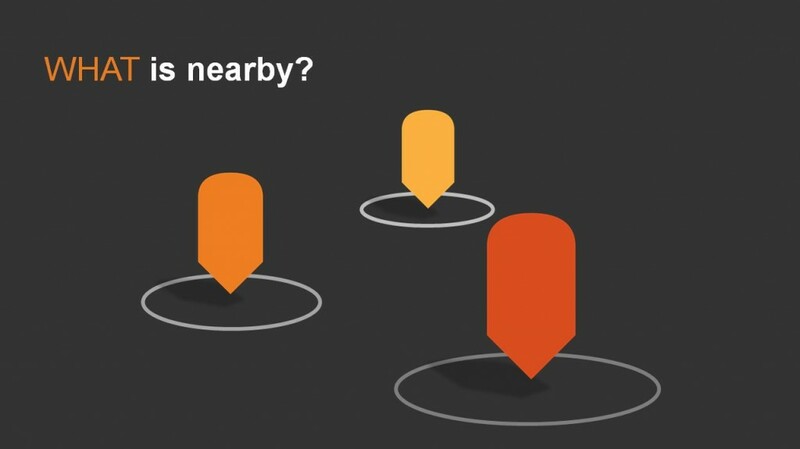 Finding out what’s nearby can help bring context to dynamic situations and deepen your understanding of a location. In many cases, things are connected to other things. 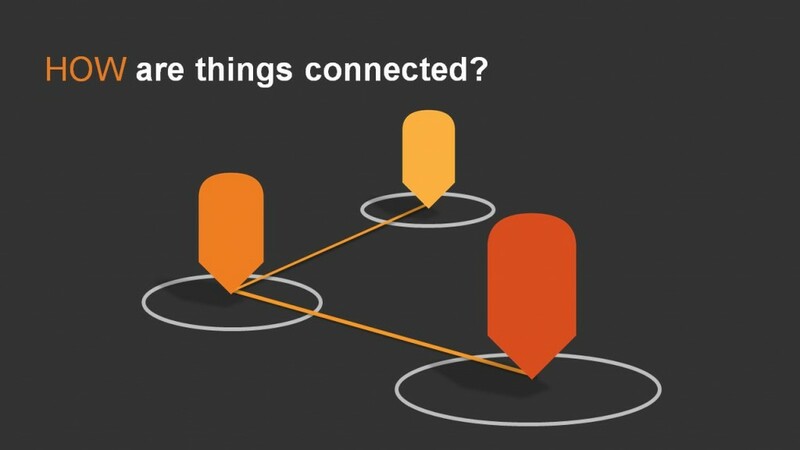 Understanding that interconnectedness can help you make faster more accurate decisions. Consider a water supply network. There are water sources, such as lakes, reservoirs, and ground water. There are water delivery systems, including underground pipes, aqueducts, and canals. And then there are pumps, values, meters, and sensors that monitor pressure and flow. The water supply is connected to homes and businesses. Communities depend on water. Understanding how and where all those things are connected will help you better manage, monitor and maintain the system. 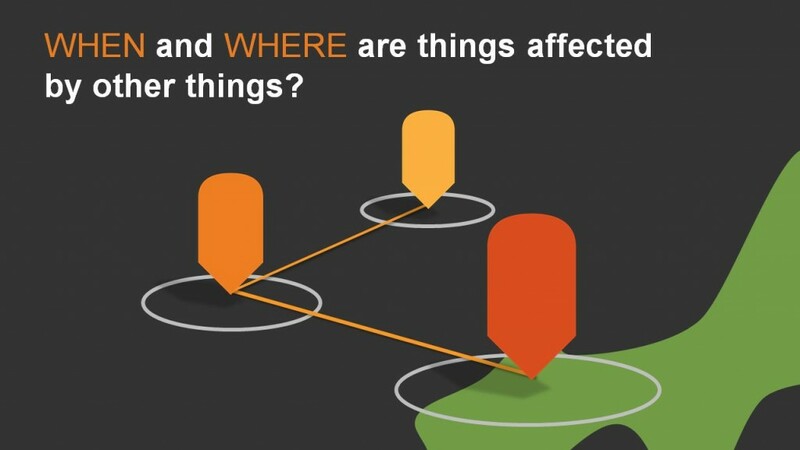 Knowing the location of things, what’s near them, and how they’re connected can help you make informed decisions when something happens. This means that you can act more quickly when a part of the network is impacted. You can predict what is likely to happen to the interconnected parts of the network. You can trace the problem along the network. You can determine how many homes are impacted and where they are. And you can restore power to a community more quickly. All thanks to the common language of spatial analysis.